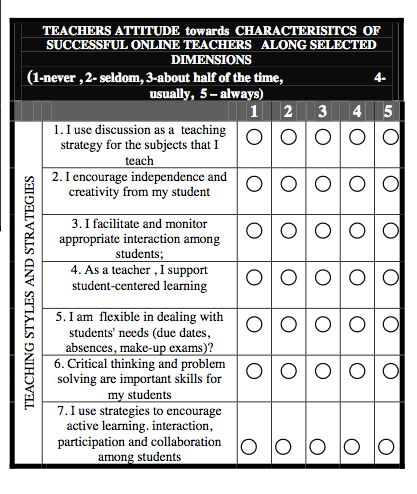 There are several excellent self-scoring assessments on the Web for students to assess their readiness for online learning as the one mentioned in the opening, yet few for instructors and faculty planning to teach online. The purpose of such questionnaires is to help students identify what skills they’ll need to be successful; technical and ‘soft skills’ such as self-direction, time management, etc. This post aims to help instructors prepare for teaching online by reviewing readiness tools and questionnaires that help to assess and determine what skills they will need to make the transition from teaching face-to-face to an online learning environment. Shared below are two surveys and key findings from two papers on ‘readiness’ for online learning and teaching; both are examined briefly. One paper discusses student, instructor and institution readiness and argues that a successful online learning program must include a systematic process of planning, designing and creating environments where learning is actively fostered and supported (Mercado, 2008, pg. 18.2). In the same paper, Mercado stresses that teachers must also “possess personal attributes to perform online teaching and administration of the online environment successfully“. And most instructive are the tables within the paper with questions that focus on attitudes that aim to assess instructors’ perceptions towards online teaching (screen shot below). It’s the attitudes that are most important given that a student-centric mindset is required for successful online instructors, one that differs significantly from traditional, face-to-face instruction. 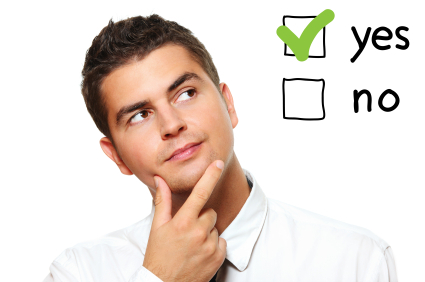 Though there is little research that supports the thesis that readiness questionnaires lead to better learning outcomes for students, there is consensus that readiness assessments at the very least emphasize for students and instructors the expectations and demands of learning and teaching in an online space, encouraging the assessment-taker to take the necessary steps and actions to prepare in an effort to reduce the learning curves associated with technology and teaching approaches (Gascoigne & Parnell, 2014). The assessments available on the web specific to instructor-readiness are few—two are listed below. Both categorize the required skills into three areas; 1) technology, 2) pedagogy and 3) administrative skills. Though as already mentioned, the paper by Mercado includes attitudes and perceptions of online learning as one component of a readiness which highlights the different mindset required for teaching online. It’s the mindset of a traditional education model that puts up the biggest barriers to instructors transitioning to teaching online. An extreme example of an instructor unable to adapt to a student-focused approach is from a MOOC on the Coursera platform where a faculty member quit midway through “because of disagreements over how to best conduct this course, I’ve agreed to disengage from it” (Kolowich, 2013). I suggest that the required skills fall into three categories. Though the two surveys included below are good, they do not encompass all of the skills I suggest are required. In lieu of a survey that includes all three areas, I recommend consulting the “Teacher Attitudes” survey questions in Mercado’s paper in conjunction with one of the surveys below pages (18.5 to 18.7). 1. Faculty Self Assessment: Preparing for Online Teaching from Penn State University is free to use under the Creative Commons license. It’s excellent. One is required to input a name and email address to access the survey, though apparently it is not stored on the school’s server, and you to get a very detailed, comprehensive report emailed upon completion based upon your responses (check your spam folder; email is from PSU Online). 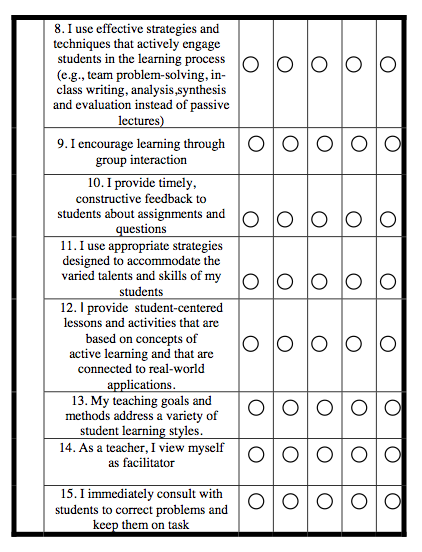 CUNY published on its faculty website an example of a feedback report of the Penn State Self-Assessment—you can see the example by clicking here. There are thirty questions ranked within three categories: technical, administrative and pedagogical competencies. The survey assumes the instructor has teaching experience—it includes questions about familiarity with LMS features and teaching online for instance, but it does highlight for instructors new to online teaching, the skills and expectations required. 2. Faculty Online Teaching Readiness Survey from the University of Toledo, twenty-question self-scoring survey. This survey is not nearly as comprehensive as Penn State’s, but it does provide a snapshot of skills required and provides in the feedback for each response, a detailed description of the skill with links to resources for further learning and/or information. Note, the selection buttons are misleading on this quiz, when completing it select the radio button that is above the answer you want.